Web design and development are evolving at breakneck speeds, it seems. And while it used to be enough to try and keep up with just trends in these two areas, it’s now important to understand trends in business, brands, commerce, the internet, and other technological advances that influence how and what we buy. As a business owner, it’s essential that you stay on top of these trends or hire the right team that will stay on top of them for you. Knowing what is out there, as well as what is coming, can improve your bottom line and help you beat out your competitors. While no one has a crystal ball and can predict everything that is likely to happen in web technology in the next year or so, you can look at trends and promising technologies to determine what is most likely to catch fire or fizzle out. It’s also important to be able to discern simple patterns that aren’t likely to last long from those that have real staying power. The following web technologies are most likely to stick around for a while and even increase in their importance over the coming year, so we’re tagging them as trends to learn about now for every business owner. Understanding how these can impact your sales, reach, and customer experience will be crucial in the coming year. Devices and apps like Alexa, Google Home, and Siri are changing the way people search and shop, and this, in turn, will change the way we should be optimizing. Voice search optimization will definitely be important soon, so start learning now how and when your customers are searching for things that you can provide. At least two out of every five web searches today are voice searches and it’s estimated that number will rise to one-half in the coming eighteen months. If you want to capture this traffic, it’s important to understand how voice search works, how it’s different, and how it may influence your business and marketing. As customers increasingly ask questions to search for what they need, search algorithms will need to evolve to match this type of query. Voice searches contain more words, long strings of keywords, and more specificity in the search terms. All of this change how we should optimize websites as well as search results. The addition of terms like “where,” “how,” and, “why” to searches provide you and search engines with more information about what you can do for potential and existing customers. Content could become even more valuable to your web presence in the future for this reason. 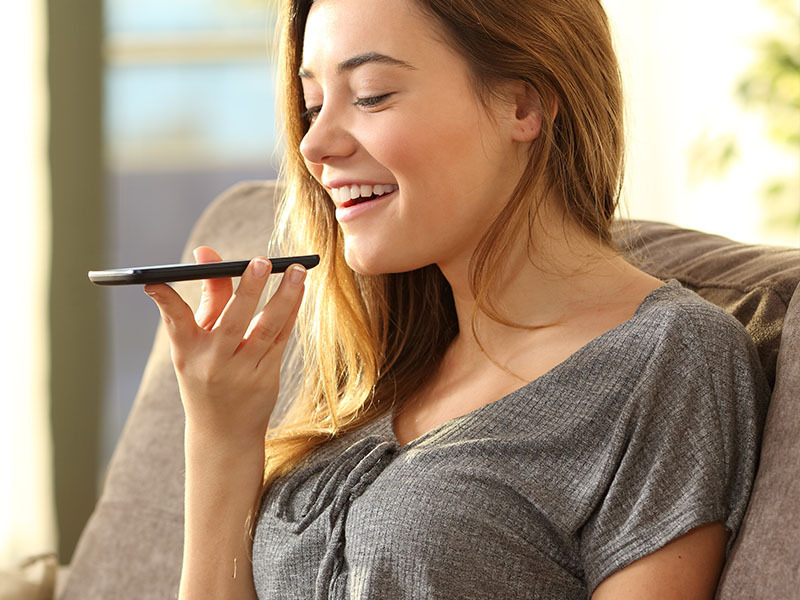 Learning to cater to the user experience with voice search could put you ahead of the curve. A new trend that combines minimalism and user experience is the one-page website. It turns out, a whole lot of people really hate wandering aimlessly around a website looking for what they want. To capitalize on speed and convenience, web developers are leaning more toward one-page sites. While landing pages are not new, this takes that idea one step further to create simple, minimalist pages that address one specific need. The clean, uncluttered design of these sites means they load quickly, which makes them favorable for search engines. They can also be extremely mobile-friendly. Single-page sites are optimized for every type of device and are mobile-ready out of the gate. It’s easier to maintain and manage these types of sites, and you can keep everything current and running smoothly with little effort. Single-page sites won’t take over the internet any time soon, but their usefulness and presence on the web will increase moving forward, for sure. The use of chatbots for customer service is growing. Most people who have experienced a chatbot love that they get an instant response. Some predict that this technology will service most customer interactions in the coming two years. Chatbots are the number one application for artificial intelligence currently, and their share of that market is expected to rise. 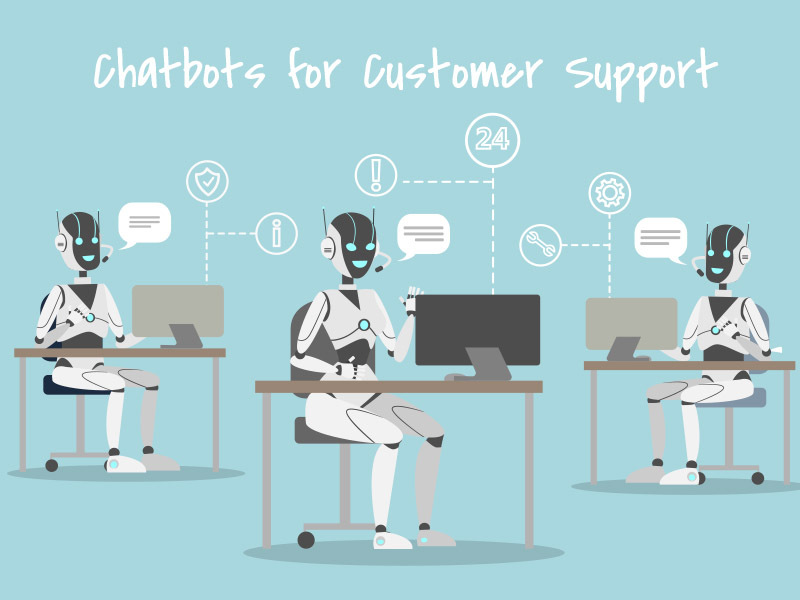 Not only can using chatbots save your business money on customer service, but a growing number of customers support this technology to meet their primary customer service needs. As AI and machine learning continues to advance, chatbots are getting smarter, enhancing the user experience, and leading to more satisfied consumers. More companies are choosing to use chatbots for new and varied purposes, and machine learning will continue to help predict what customers want and need in real time. Learning how to capitalize on this for your website could put you far ahead of the competition in many ways. While this trend is not new by any means, it continues to grow in importance in the year ahead. Mobile searches now far exceed desktop searches which have changed how we advertise and target users. Google has also responded to this trend by changing which sites it indexes first. 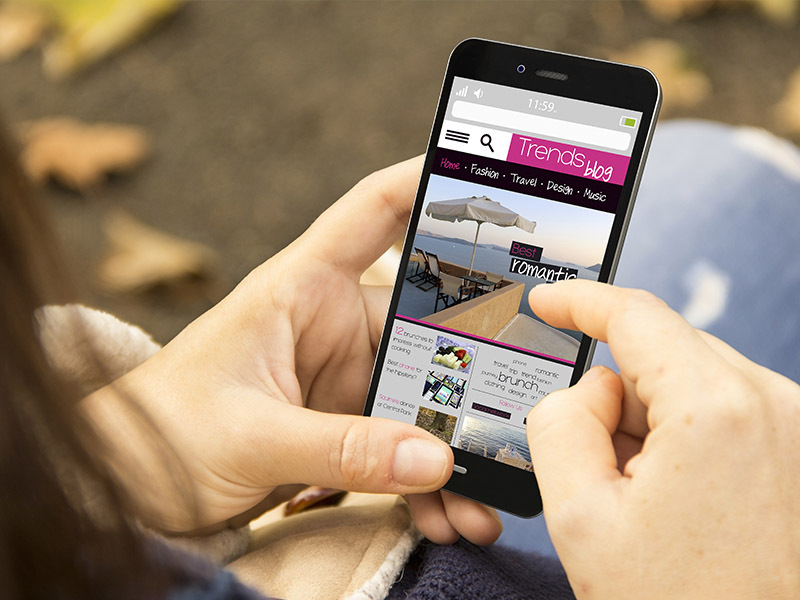 Mobile websites get prioritized above those that are not mobile-friendly. Most developers are learning towards mobile-first approaches, which changes how the website is designed and built from start to finish. This is the complete opposite approach to site design and development from just a few years ago when the desktop site was king of the hill. Visually, mobile sites are cleaner, load faster, have fewer images and graphics, and are easier to navigate. Making your website stand out with these limitations is crucial, so designs are looking more modern, sleeker, and less cluttered, too. There are tons of new advances in technology we haven’t even addressed here, and some may have real influence on your business over the next year. Innovations like blockchain, Amazon search, and augmented reality continue to spark interest and enthusiasm. Design principles on the horizon include micro-animations, video backgrounds, asymmetrical and geometric designs, and all kinds of interesting looks for typography, layout, and use of color. There’s lots of cool stuff always happening, and this time next year, we’ll be making another list of awesome things we haven’t even dreamed of yet. That’s the nature of technology. Always something new.